Today I’m showing you how I’ve organized my sewing supply cabinets. Not that I do a lot of sewing (I’m certainly not that great at it.) BUT I do like a “custom” look in my home and to get that, without paying “custom” prices, I have whipped up a few curtains and pillows in my time. I store my sewing machine and supplies in my laundry room. Later this week, I’ll show you the entire laundry room reveal. I designed the room to have lots of cabinet space. These upper cabinets are where I keep my sewing supplies. My awesome sewing machine was a garage sale bargain that I got quite a few years ago. (Thanks Darla W.) If you remember, I got this one from you and it’s been so great to have. To organize these cabinets, I found some more dollar tree baskets. You already know that I’ve used Dollar Tree baskets and bins throughout my home. I took all of my material pieces and went through and organized them by color, throwing out really small pieces and ones that I don’t think I’ll use. I can assure you, I don’t have near as much material as my mom. If you missed the post on organizing her sewing room, you can view it HERE. Here’s the cabinet directly above the sewing machine. I attached command hooks to the inside of the cabinet doors. … and the other side holds my large scissors. My supplies basket holds my little scissors, pin cushion, seam ripper and other supplies. These little plastic holders are also from the Dollar Tree. I think there might have been six to a pack. Those rectangular labels can be found in my Etsy Shop HERE and these ones are edit-able. 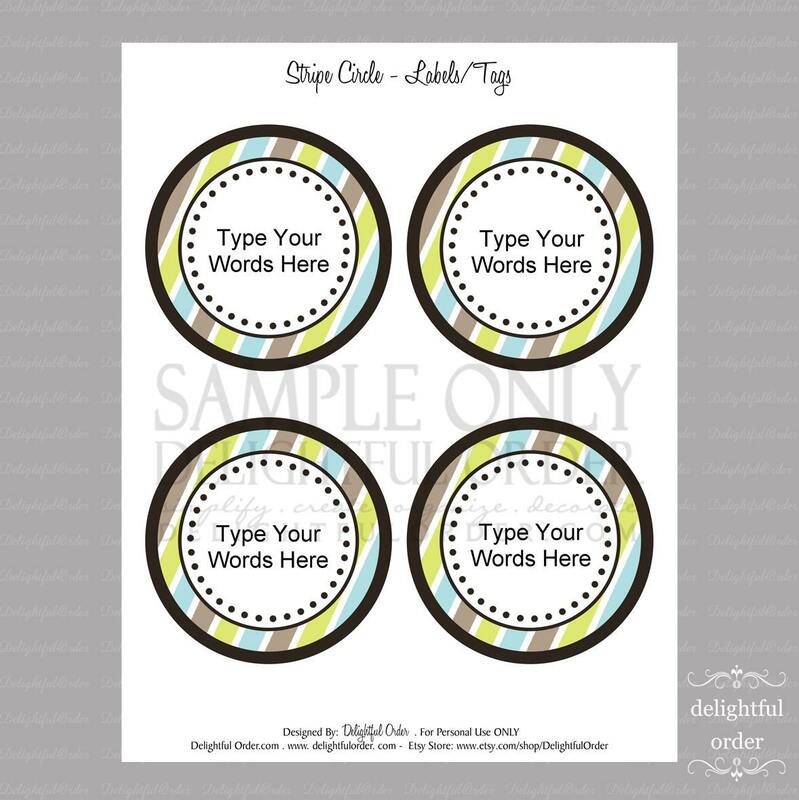 Simply type in the words that you want on the labels and print. (The font style and sizing can not be changed.) You can use these labels wherever you want. Labeling whatever you wish. The top drawer holds cutters, iron-on patches and my sewing machine tools. The button makers are organized inside little containers. and the bottom drawer holds my thread. threaded bobbins are stored in another one of those small plastic containers, inside the thread drawer. and the rest of the cabinets hold all those dollar tree baskets I showed you earlier. With more of those baskets and material organized by color. It’s so great to have these cabinets in order. Makes finding exactly what I’m looking for, simple as pie. So if I wanted to, I could spend more time sewing and not so much time looking for items that I need. How about you? What space(s) would you like to bring to Delightful Order? Do share, I’d love to hear from you. Awesome post! My fabric closet is really in need of an overhaul! Delightful Order is such an inspiration to me! You're ideas and creativity is awesome!!!! You do such a wonderful job! I look forward to checking out your blog everyday! Very nice OK I guess this means my craft and fabric notions have to come out of the cardboard box in the closet lol looks great! Very nice job! Doesn't it always make you want to actually CREATE in your space when it's organized! ?